Defenders of Berk, and the previously released Riders of Berk, is a must-own for any Dragons fan to catch up before the summer event when How to Train Your Dragon 2 hits theatres June 13th! The DVD is jam-packed with special features that dive deeper into the exciting world of Dragons. My kids were big fans of How To Train Your Dragon, so when we had the opportunity to watch Dragons: Defenders of Berk part one, they were pretty excited. They are already fans of the TV show, so this just pumped them up even more. I have to say Defenders of Berk was really good and is perfect for the entire family to watch together. Filled with lots of action, memorable characters and another adventure like you wouldn't believe, this is a great movie to have in your home if you were fans of the movie. Even if you didn't watch the movie, you can still pretty much come in watching Defenders of Berk and becoming a fan. Now out on DVD for you to purchase in stores, be sure to get this DVD before How To Train Your Dragon 2 comes out in theaters this Summer! Disclosure: All opinions are my own. 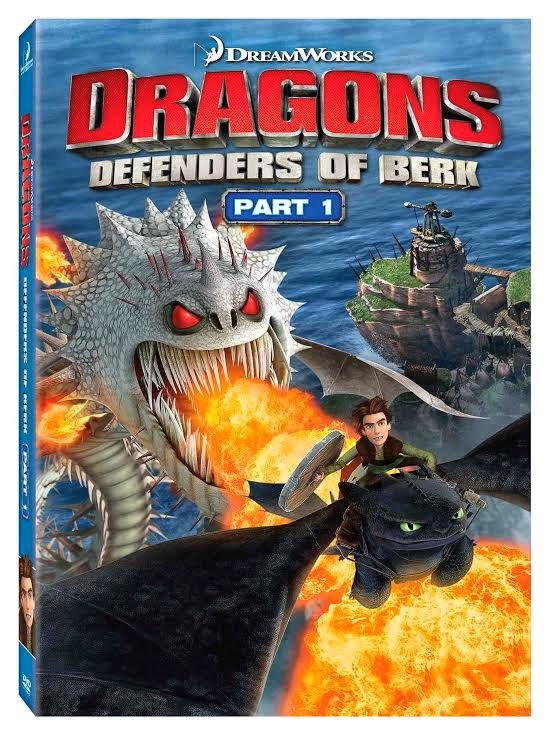 I received Dragons: Defenders of Berk Part 1 on DVD at no cost for the purpose of this review. No other compensation was received.